With holidays here, you can basically kiss goodbye to your bank account balance and find ways to cut back where you can. And Christmas decorations is one area where you can definitely save plenty of money. How? You just have to get a little creative and make your own decorations, it’s that simple. Making your own decorations is not hard either when you are equipped with amazing tutorials. Sure you can go out and buy brand new decoration which for the most part are outrageously priced because of the festive season. 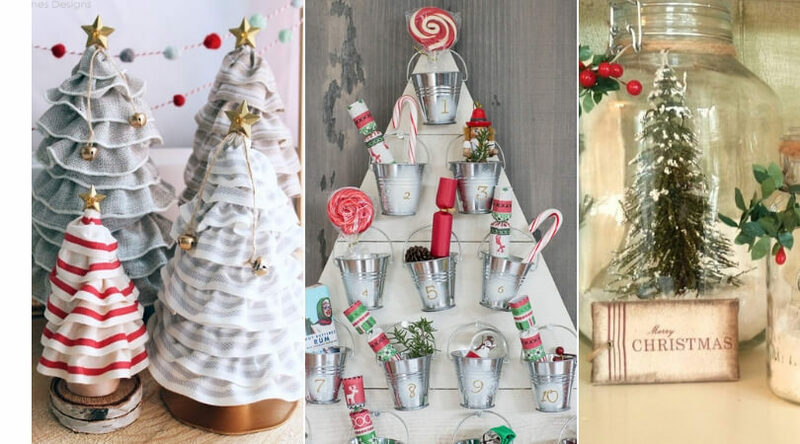 But these DIY Christmas decoration ideas will save you money along with giving your home the unique Christmassy vibe. And your home will look unique with DIY decoration as you can add a personal touch which is not possible with store-bought decorations. 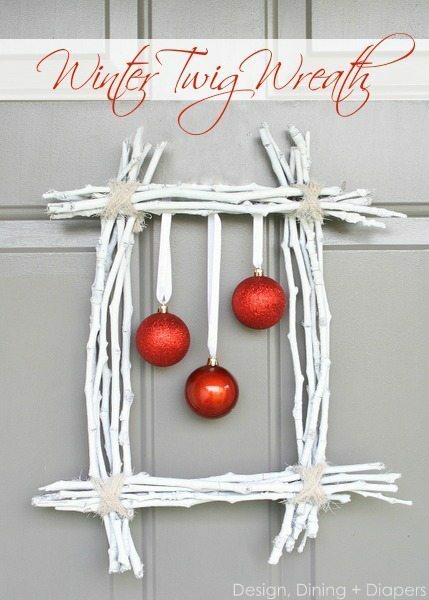 A DIY Christmas decor idea for the door! 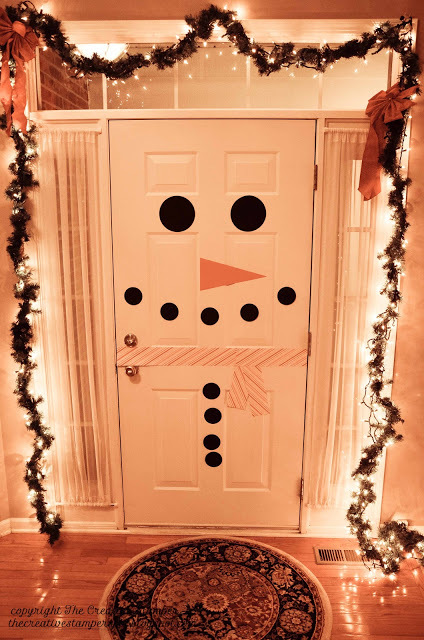 Let’s welcome this amazing season into your home with this snowman at the door which is very easy to make. You can even make it for the door of your fridge. Actually, the original idea was for the door of a fridge and was modified for the entry door by the creative mind behind the blog- The Creative Stamper Spot. You just need to know to make the basic geometric shapes with papers which I am quite sure you know. So grab some fancy papers and scissors and start crafting. 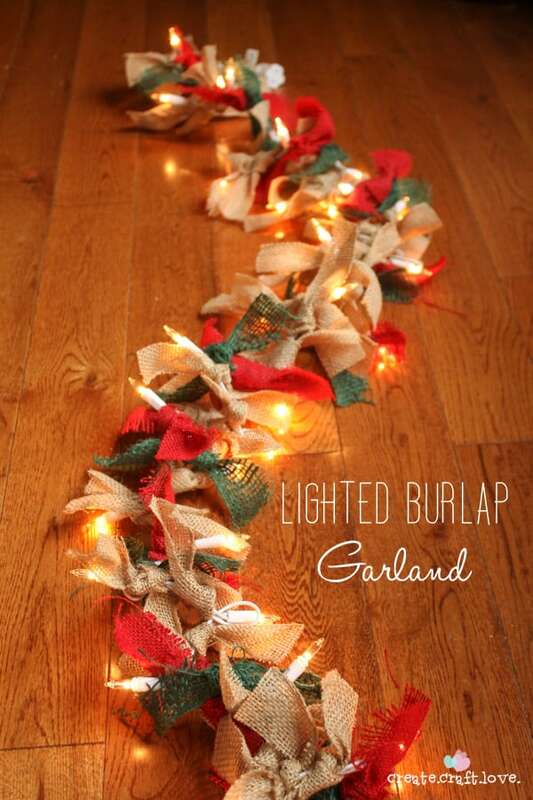 Perfect if you are going with a rustic Christmas theme, this lighted burlap garland looks beautiful. It might look tedious but making it is extremely easy, all you need are burlap ribbons, mini lights, Scissors and this easy tutorial from Create Craft Love. Countdown to Christmas in style with this beautiful wooden Advent Calendar. 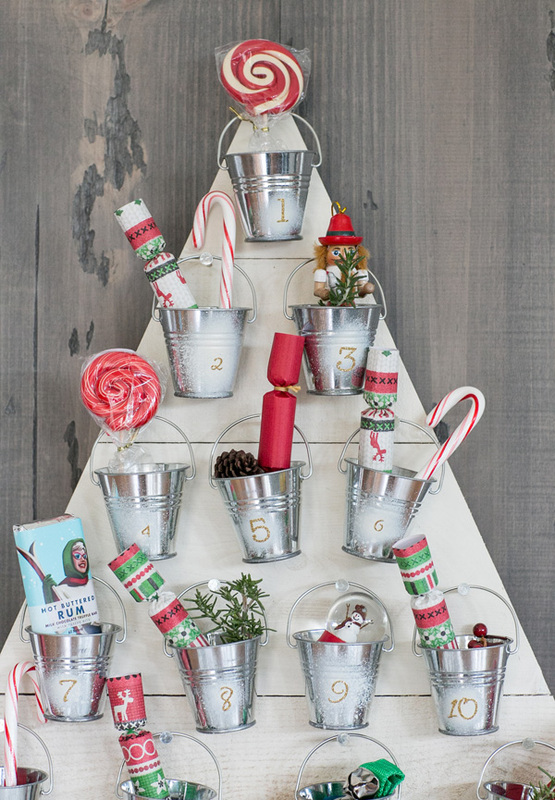 These tiny galvanized buckets are the perfect size for storing Christmas treats. Sugar and Charm has an easy tutorial on how they made this rustic advent calendar. Got a house full of Disney fans? 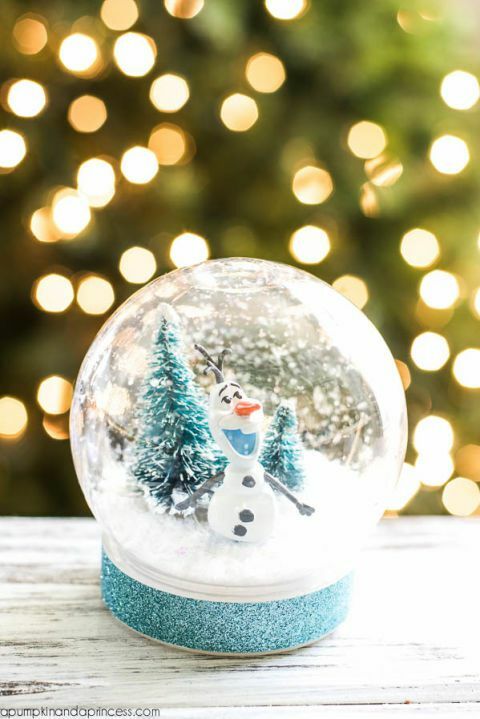 Your kids will love this snow globe, inspired by the movie Frozen. All you need to make this beautiful snow globe are plastic snow Globe, Disney Frozen Olaf Figurine, miniature trees, snowflakes, and an easy tutorial from A Pumpkin and A Princess. 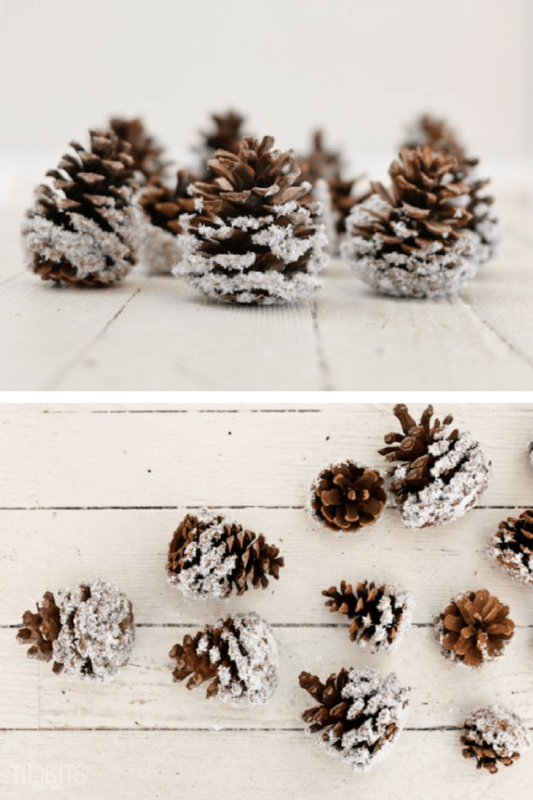 Frosty crafts are a must-have for Christmas and with these frosty pinecones that becomes easy… All it requires to make this winter craft is pinecones, acrylic paint, Glitter, and this easy tutorial. If you can find these pinecones out and about then this craft will be extra frugal but if you are unable to find them… you can buy them here. 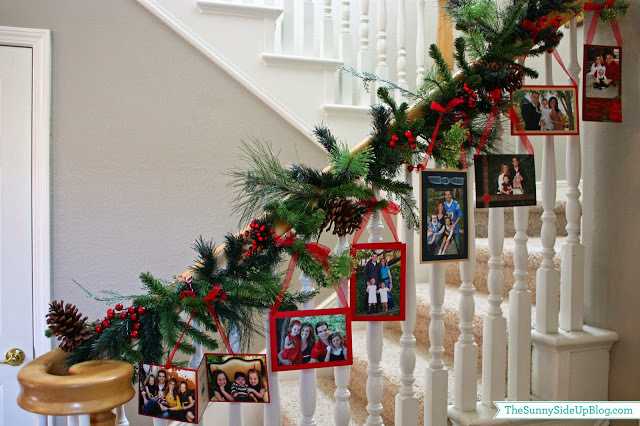 A really fun idea to use old Christmas cards is to make this Christmas card garland and decorate the stairway banister. It will really catch the eyes of visitors and looks cute..!! The Sunny Side Up Blog has an easy to follow tutorial on how to go about this. A beautiful and easy craft, it’s so easy to make that even your kid can make it. 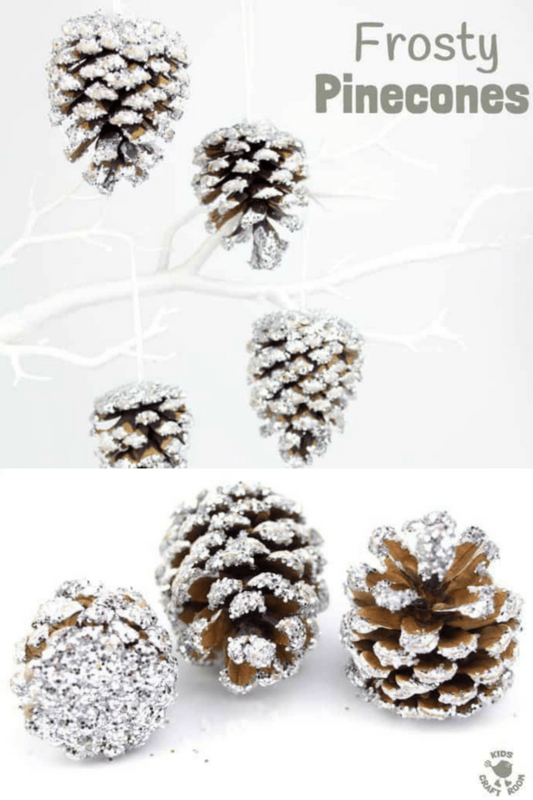 You can use these stunning snow covered pinecones on your Christmas table as a rustic centerpiece or hang them from your Christmas tree. Get the Tutorial Here. 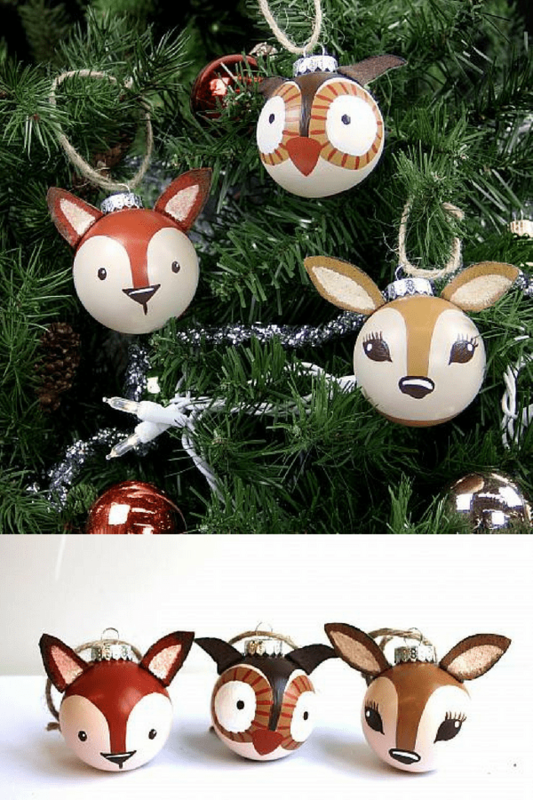 Who can resist woodland animal? … Especially when it’s Christmas. DecoArt has a step by step tutorial on how to create these beauties and no matter if it requires a bit more effort as results you get are worth it. Literally amazing! 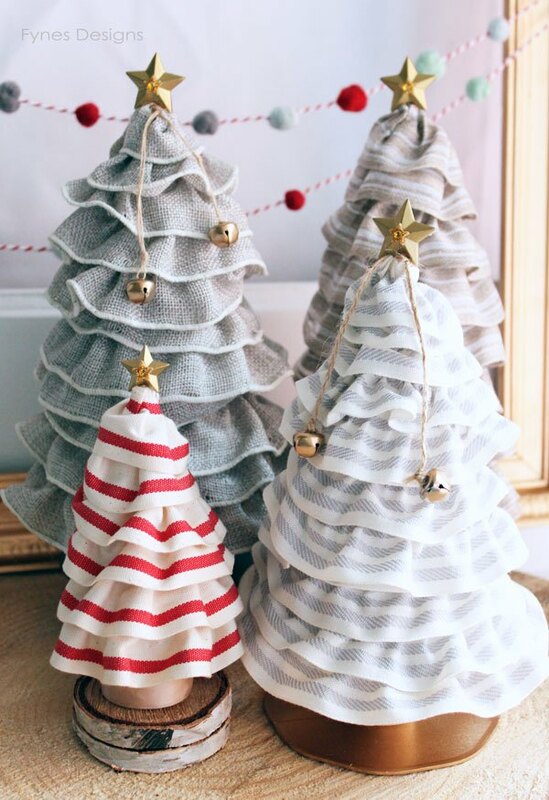 Virginia from Fynes Designs used Kitchen Funnels to create these gorgeous Christmas Trees. These funnels are easily available online at Dollar Tree. Simple candle holders are things of past, now is the time for beautiful, designer and unique candle holders. 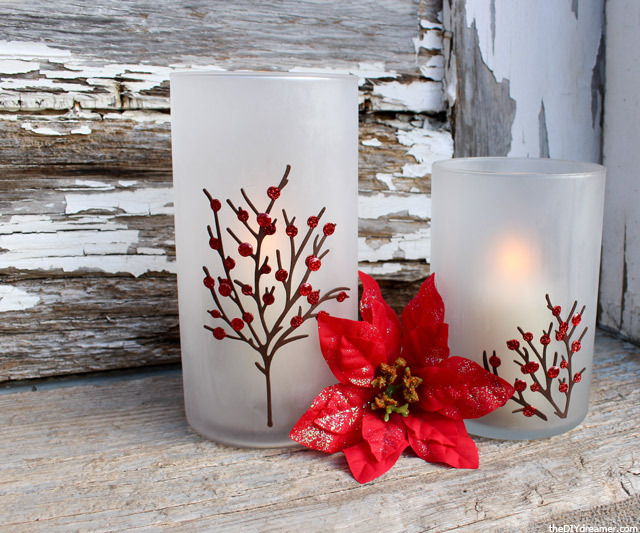 These etched candle holders look like they have been bought from a high-end store but are totally handmade. The DIY Dreamer has a step-by-step tutorial to create these beautiful candle holders. A beautiful handmade wreath for Christmas made entirely from Dollar Store supplies. 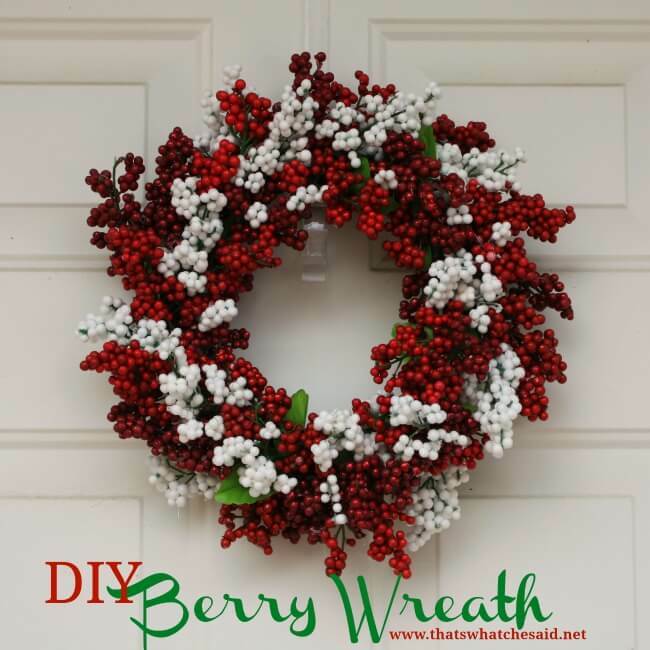 That’s What Che(She) Said got an easy to follow tutorial that will help you in making this berry wreath. A quirky design from Somewhat Quirky Design. 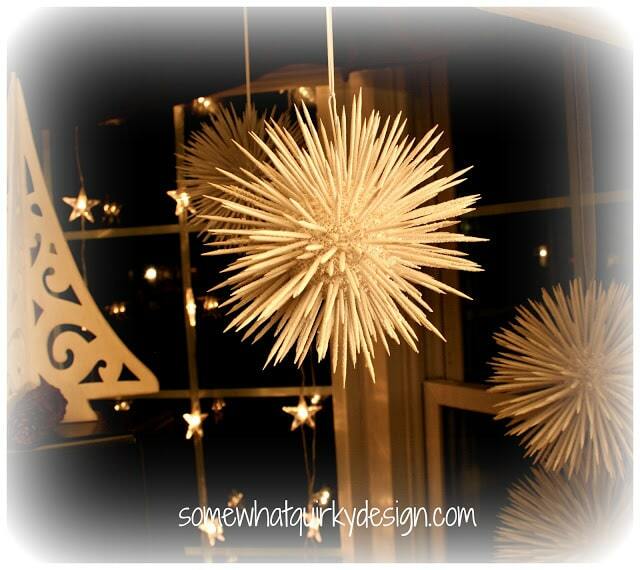 These Christmas balls made using toothpick are truly unique and very easy to make. You just need styrofoam and toothpicks(loads of) to make this quirky craft. These wooden toothpicks from the dollar store will be a pretty affordable choice. 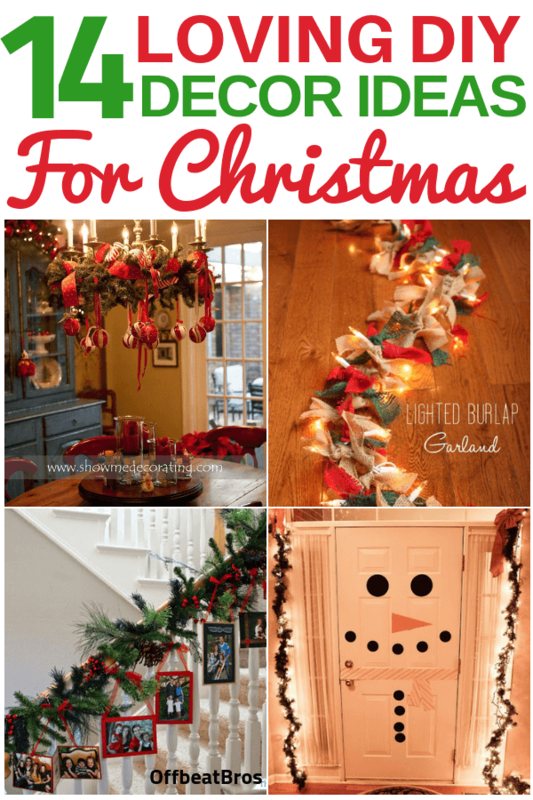 A perfect way to bring north pole charm to your home this Christmas is to make these beautiful North Pole Street lights. 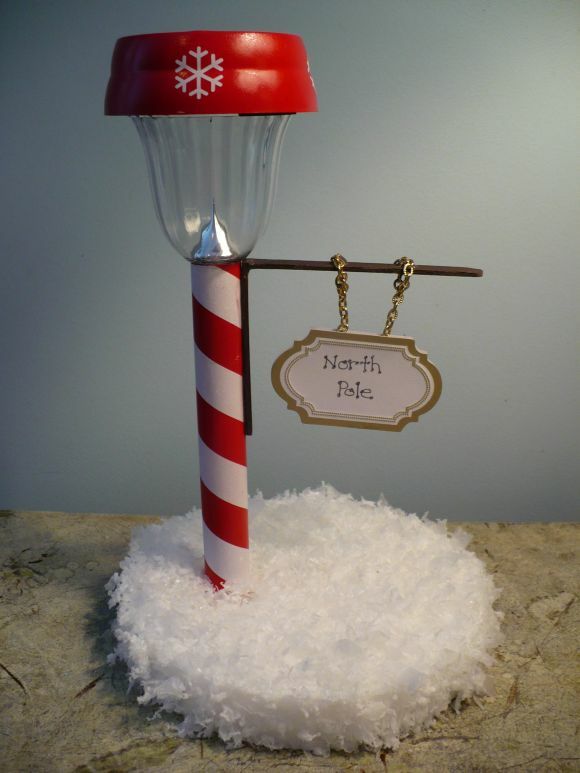 Dollar Store Crafts has an easy tutorial that will help you bring these north pole lights to your home. As you see, making stunning Christmas decorations is not difficult or expensive. If you like these ideas share them on Pinterest!